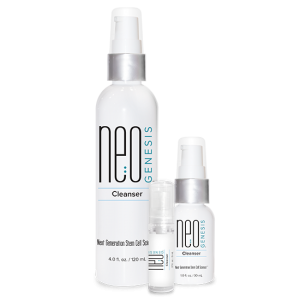 NeoGenesis Cleanser gently removes makeup, dirt, and excess oil without drying the skin or affecting the natural pH balance. 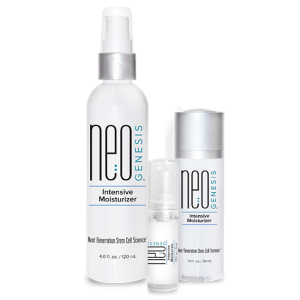 NeoGenesis Recovery, our most advanced product, is a breakthrough serum that improves anti-aging results, speeds the healing process and reduces inflammation. NeoGenesis Booster is our next level anti-aging serum that provides an improved appearance while calming and supporting the skin. 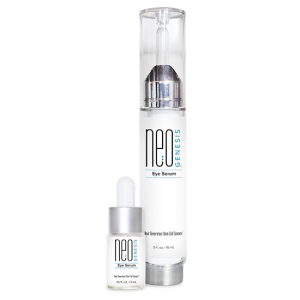 NeoGenesis Eye Serum helps to regenerate the delicate skin in the eye area, while reducing the appearance of puffiness, and dark circles. Skin Serum is a unique anti-aging skin serum that reduces all visible signs of aging, for smoother, softer, and younger looking skin. 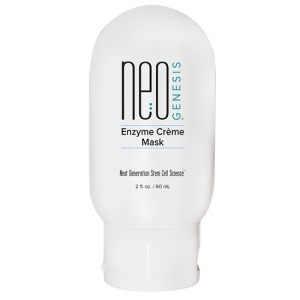 NeoGenesis Enzyme Crème Mask is a gentle, creamy, fruit enzyme exfoliant that refines, brightens, and clarifies the skin. Intensive Moisturizer is a luxurious and deeply hydrating cream created for those who require extra moisture to the skin. Skin is renewed, nourished, and protected through daily use. 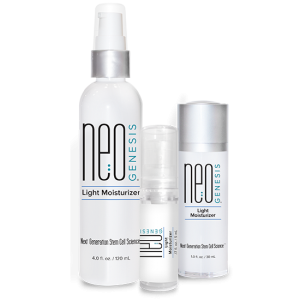 NeoGenesis Light Moisturizer is formulated for those with normal to oily skin or who live in more humid climates. This light cream will hydrate, nourish, renew, and protect the skin through daily use. 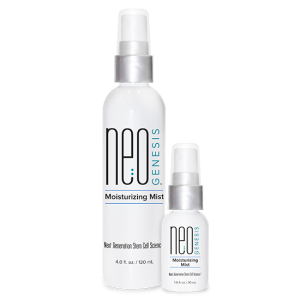 NeoGenesis Moisturizing Mist is a light, oil free spray that effectively hydrates the skin while our patented S2RM® technology and antioxidants protect against free radical damage. NeoGenesis Body Cream is a luxurious, deeply hydrating, and anti-aging formula created for the body. The Body Cream helps to repair and restore the skin barrier as the S2RM® molecules penetrate the skin’s surface which helps to heal damage in the deeper layers of the skin. NeoGenesis Glide Gel is a safe and highly effective conductive gel for use in the treatment room or at home. It allows for an easy glide for all devices that require a conductive gel and is the perfect vehicle for delivering companion ingredients when used with other products. Specially formulated for those with fine or thinning hair, NeoGenesis Hair Thickening Serum™ uses the most advanced science to add noticeable body, shine and density. Designed to make your hair look and feel healthy and strong in as little as eight to ten weeks. 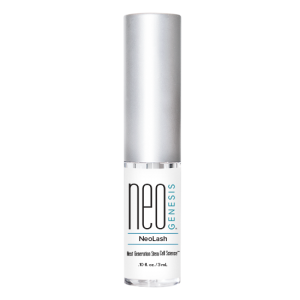 NeoGenesis NeoLash Serum is designed for those who desire longer, thicker, and overall healthier looking eyelashes. Designed to make your eyelashes look and feel healthy and strong in as little as six to eight weeks. NeoGenesis NeoBrow Serum is designed for those who desire longer, thicker, and overall healthier looking brows. Designed to make your eyebrows look and feel healthy and strong in as little as six to eight weeks.